World expositions are curious beasts, small temporary cities intent on celebrating human endeavours. Randy Bradley's images taken during the gestation period of the Vancouver World's Fair might provide visual evidence for one of Calvino's cities. Sometimes ominous, sometimes endearing even tender, these views reveal some fundamental yearnings while hinting at the darker side of human compulsion. Accompanied by a folder catalogue with essay by Robin Laurence. 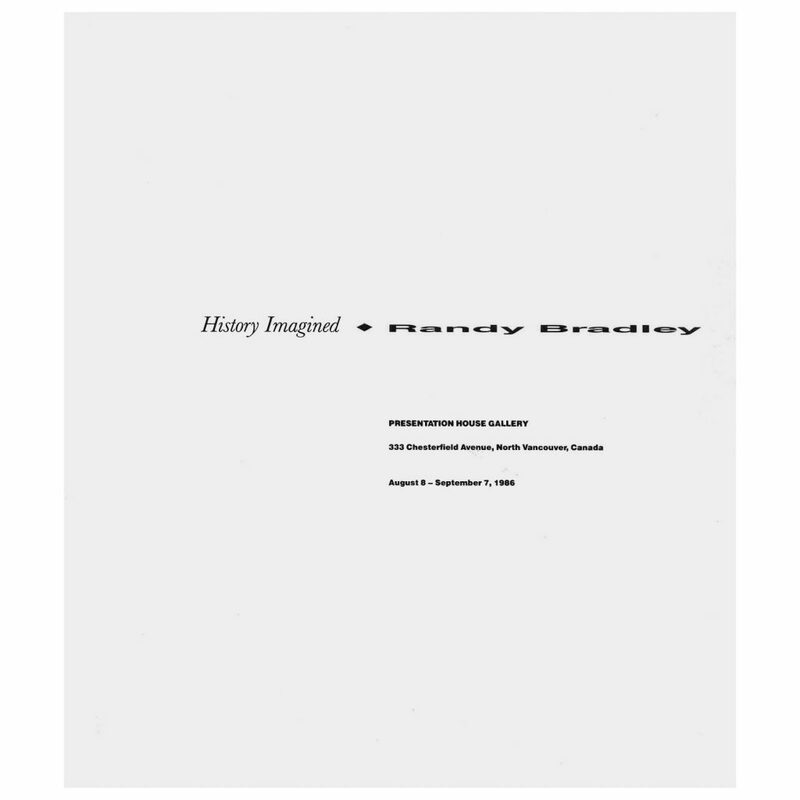 The folder includes the essay Hitting on History: Randy Bradley's Expo Photographs by Robin Laurence, an artist's statement, list of exhibition works and a biography. Designed by Derrick Carter, printed by Hemlock Printers.